With only 2 games remaining in this year edition of the Bundeslinga, Hamburger SV is one loss away from its first ever potential relegation from the top tier in German football. Although Munich has pretty much nothing to play for, with its league title wrapped up with some games to spare, Bayern will be looking to make a point after being humiliated in the Champions League semi-finals by Real Madrid earlier in the week. Hamburg had won the German top tier 7 times in its club's history (last in 1982-83), and with a squad that includes the likes of Rafael van der Vaart, Johan Djourou and Heiko Westermann, it would be an absolute disaster to German football to lose this squad to the 2nd tier. Juve crashed out of Europa League after they were not able to score a single goal against Benfica in their second leg home match. This Sunday however, they are not playing the top team in Portugal, but rather a mid-table team in their own league in 11th place Atalanta. So why is this game deemed worthy of watching this weekend? Well, that's because a win will guarantee Juventus the Serie A title, and don't we all just love watching deciding games! Any other season, and this match is probably top of the list on a weekend like this one. 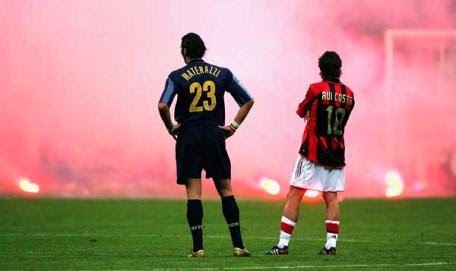 Sure, Inter is not the same success story as that of recent years, and AC Milan is in the midst of a season that is even worse than that of Machester United in English football (AC Milan is currently in 10th place), but the Derby della Madonnina (the Milan Derby) is one of the greatest rivalries in club football around the world, and is always worth watching. Russian Premier League football? Sure, why not. Especially this weekend, when the league leading Zenit St. Petersburg squad travels to Moscow to take on Lokomotiv who is sitting just 1 point behind them in second place, with only 3 games left in the season. Need more reasons to watch this match? here are some: Zenit St. Petersburg is coached by former Porto, Chelsea and Tottenham manager André Villas-Boas, and his starting line-up includes Belgian Axel Witsel, Portuguese internationals Danny and Luís Neto, Brazilian star-man Hulk and former Russian national team and Arsenal player Andrei Arshavin (remember him? 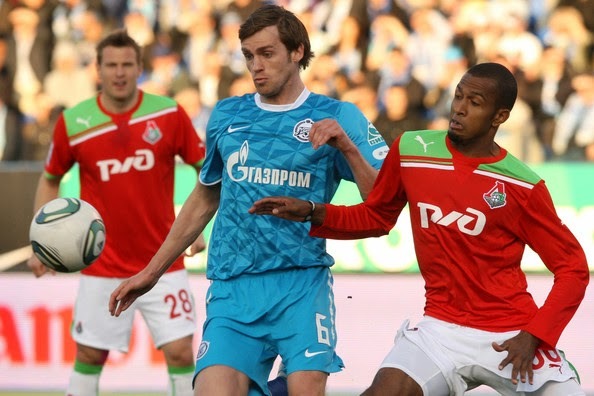 ); while the Lokomotiv squad includes Croatian national Vedran Ćorluka, French Midfielder Lassana Diarra and another Russian Premier League flop Roman Pavlyuchenko. The reason we pick this game in the number 1 spot is not because it promises to be the most entertaining of the bunch. But with the English title hanging in the balance this game could be the difference between Manchester City and Liverpool winning the English League. Manchester City has 3 games remaining, while Liverpool has just 2. City currently sits 3 points behind Liverpool in the standings, so winning at Goodison Park would put them even on points with the current league leader, but would push City into first place because of a superior goal differential. Both teams have two fairly easy match ups remaining after this game, with Liverpool set to play away at Crystal Palace, and then a home match against the lately oh so awful Newcastle United.While City is almost guaranteed to win their last two (both at home) against Aston Villa and West Ham United. 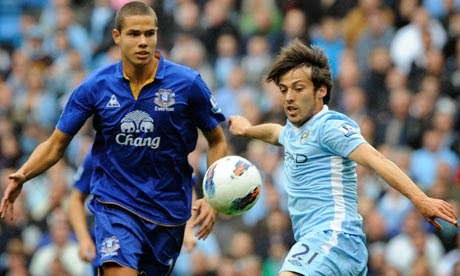 Liverpool's title hopes are in the hands of Merseyside Derby rivals Everton.